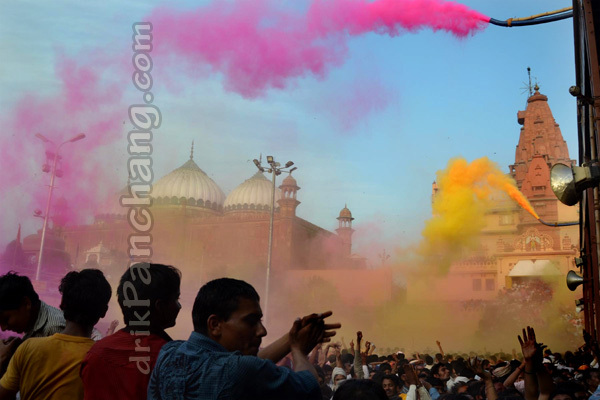 On 23rd March, the auspicious day of Rang Bharani Ekadashi, Holi Mahotsav was organized at Janmabhoomi, Mathura. After Lathmar Holi of Barsana and Nandgaon it was time to enjoy Holi at the birthplace of Lord Krishna. The Holi Mahotsav is celebrated every year within the premises of Janmabhoomi in front of the newly constructed Keshava Dev Mandir. Opposite to main building of Keshava Dev Mandir, grand stage was set for Holi Mahotsav activities. 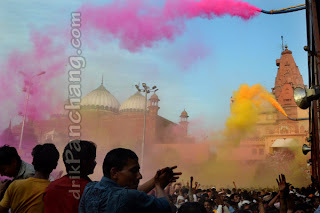 Thousands of devotees and visitors watched the mesmerizing Holi celebrations. The space between the Kesava Dev Mandir and the stage was packed with scores of devotees. Many of them were sitting on the stairs to watch the celebrations. The celebrations began with the Aarti of Lord Krishna and Radha Rani which was performed by Guru Sharananand Ji Maharaj. The Lathmar Holi between Lord Krishna and Radha Rani and Holi with flowers, in which both Krishna and Radha were flooded with tons of flowers, were worth watching events. Peacock dance and Charakula dance were the main attractions which were performed by various artists on the stage. 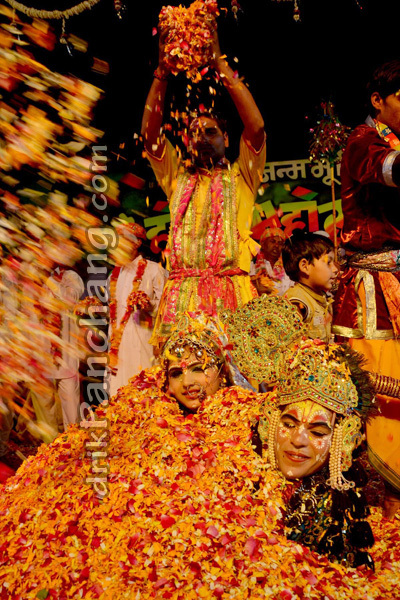 Special arrangements were done to throw tons of Gulal on devotees. 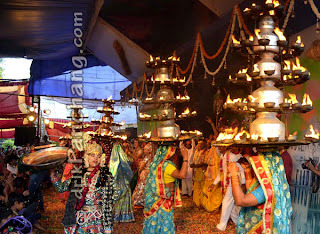 At the end the whole atmosphere was filled with Gulal and fragrance of Kesar. 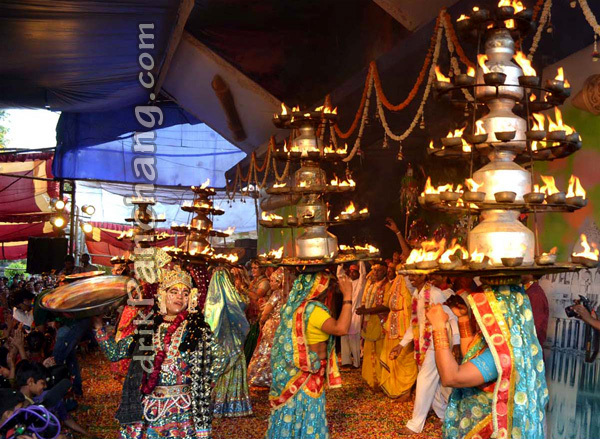 Lathmar Holi was played along with music and devotional songs which recreated the Holi of Barsana within the Janmabhoomi premises of Mathura.